Appliance Warehouse of America is your communities' source for rent to own appliances. Having learned what it takes to customize programs for the multi-family industry - Appliance Warehouse of America makes rent to own washing machines and rent to own dryers affordable and convenient. If you need the full service and convenience of leasing, but require the accounting benefits of owning, contact Appliance Warehouse of America today for customized rent to own appliance options. If you are in property management call our call center today for a customized no "cost to you" option. 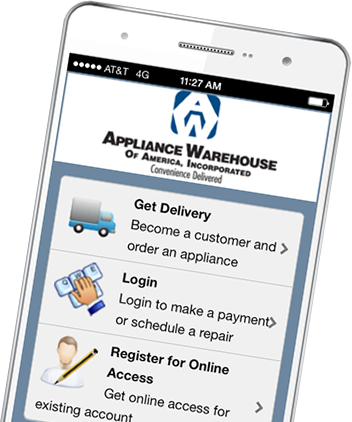 **Appliance Warehouse does not offer Rent-to-Own plans to individuals or residents; Rent-to-Own programs are offered exclusively to Commercial clients as per the terms and conditions of a fully executed capital lease or lease-to-own Owners Agreement.